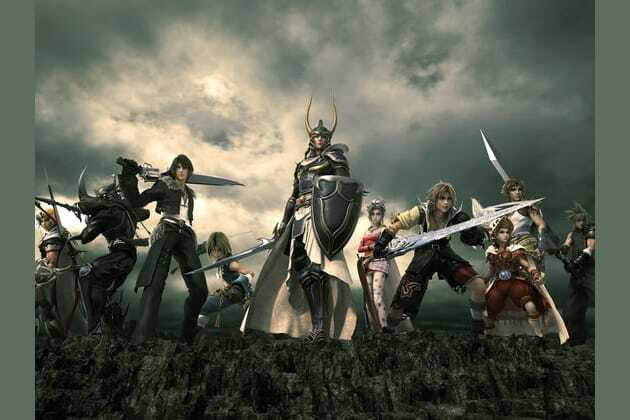 Which FINAL FANTASY character are you most like? Created By Kewl Z . What do you have to say about this quote? We will all work at least a little bit in our lives. It is how you look at your work that will make it easy or not. Work is not there to be loved. It is there to be experienced so that it can make us strong. You can only call it work if it is not enjoyable. People don't work to love. People work to be loved. No one can love their work. You can't love something that is a requirement to live. Even if you love your work, it is still work and nothing can change that fact. When you love your work, then that is when you are truly happy. There is no choice if you love your work or not. Which parent were you closer to? Appearances can be ultimately deceiving and are never the true answer to someones mind or heart. Everyone is the same. I don't need to see anything to know how people will act. What kind of Car do you like to drive? Something that looks and driving style fits my personality. A simple car, nothing that stands out too much. Something new. Next generation style. I don't really care. Just as long as it takes me to where I'm going. Something with power. If I see a rock, I want to be able to drive over it. Something I can safely take off roading and that gets the best mileage. Something slim and flashy. Maybe a few decals. Do you follow your heart or your head? Nothing outweighs logic. My brain is my guide. My heart has guided me through thick and thin, and it will continue to do so. I usually listen to outside sources to solve my problems. IT is hard to see things clearly and having someone else help you through problems is the best. Having hope is like wielding a shield. Hope can deflect any negative impact on your life. You just have to give light to a dark situation. Where you go in life is up to you, If you are a skunk and you want to be a bird, Go for it. Memories are a part of your soul. Don't let them fade. Your strength of character doesn't come from your muscles or how you look. It comes from your heart and your willpower. There is no Good or Bad, just two standpoints blaming the other. The abilities that are given to are gifts. To disrespect these gifts is the saddest tragedy. You can only get where you want to go if you continuously fight for it. What you have done doesn't define who you are, but what you aspire to be does. Why did you choose that class? It's the most challenging class to use and is even cooler to accomplish. It is what I think I would be if I was in the Final Fantasy world. see if anyone else wants it before eating it. leave it for someone else to claim it because you don't want to bother anyone. Split it with whoever else want some. You are Cecil Harvey. Cecil is a strong and gifted knight, gaining the respect and admiration of his men during his captaincy of the Red Wings. Although being raised by the King of Baron, Cecil is modest and shy and struggles with showing his emotions. His most remarkable traits are his bravery and firm beliefs. Towards his friends, Cecil is loyal and exceptionally forgiving, being able to forgive even those who betray him. You are Terra Branford. Once she learns her true past and comes to control her powers, she turns her introspection to her humanity, a question that had troubled her from the start. She worries she cannot feel love and asks others about their emotions to try and figure it out. This question becomes so overwhelming she briefly loses her ability to fight, but in the end Terra is courageous and resolves to fight and use her special abilities to make the world a better place. You are Cloud Strife. Cloud remains steadfastly loyal and true to those he cares about and is driven to protect them, going as far as to hide his pain and emotions so he would not worry them. overall, while Cloud has a moody demeanor, his personality is not as brooding as that of Vincent Valentine. You are Squall Leonhart. Though withdrawn, Squall does not shirk from what he considers his duty. As much as he resents assuming leadership, he is the first to ensure that what is necessary gets done. Squall's pragmatism and sense of responsibility lead others to trust and follow him. Even though everyone agrees Squall can be difficult, staff and students alike admire him, and he is eventually appointed Commander of Balamb Garden much to his dismay. Squall becomes the de facto leader of the party, though at first he dislikes his comrades looking to him for orders and advice. You are Tidus. Tidus is upbeat and carefree and at first appears childish. He turns more serious when things get hectic, and despite his carefree ways, conceals a troubled past. Tidus is sensitive and even when giving an emotional response to most of his arguments, tends to give a good rationale. You are Vaan. Despite having been forced to look after himself from an early age due to the loss of his family, Vaan remains naive. He holds an idealistic view of one day getting back at the Empire and owning an airship. His inexperience with the world comes across as being tactless during his interactions with his more worldly companions, e.g. fumbling over the viera race's longevity by asking Fran her age, and wondering aloud whether the Gran Kiltias is sleeping. Vaan admits to Ashe that his desire to be a sky pirate stems from wanting to flee the memory of his brother who was killed during the war. As the story progresses, Vaan becomes a quick learner and essentially becomes the leader of the group, which has a princess, and an ex-General. He is a boy, standing alongside gods. You are Zidane Tribal. Zidane is a bit of a skirt-chaser. Despite accusations that all he ever thinks about is girls, Zidane can be serious when the situation calls for it. He advises the party on several aspects of life and is overall laid-back and casual in his actions and speech. Though he is confident in his abilities, Zidane harbors insecurities about his past and concealed loneliness. While usually cheerful, Zidane sometimes gets depressed, lonely, and questions why he should exist. Though he values friendship he tries to keep his problems to himself and fight them alone. Zidane develops feelings for Garnet and acts like an older brother to Vivi. Towards other party members, even Steiner and Amarant who dislike him, Zidane is generally friendly. You are Lightning. Lightning is determined, concentrated and independent. Initially, she is cold and standoffish, distancing herself from her companions. She only looks out for herself and doesn't care if others are left behind. Much of her motivation is fueled from what she perceives as failing to protect Serah leading her to lash out at those she believes are responsible for her fate: namely, the Sanctum, its fal'Cie and, to a point, Snow Villiers, due to his relationship with Serah and his failure to protect her as he promised. As she journeys with Hope Estheim and takes him under her wing, Lightning begins to show compassion and trust others, and sees the errors in her approach. Ultimately, she becomes the leader and, to a degree, protector of the other Gran Pulse l'Cie as they journey to challenge their fate.